Days when fashion was confined to women are over. 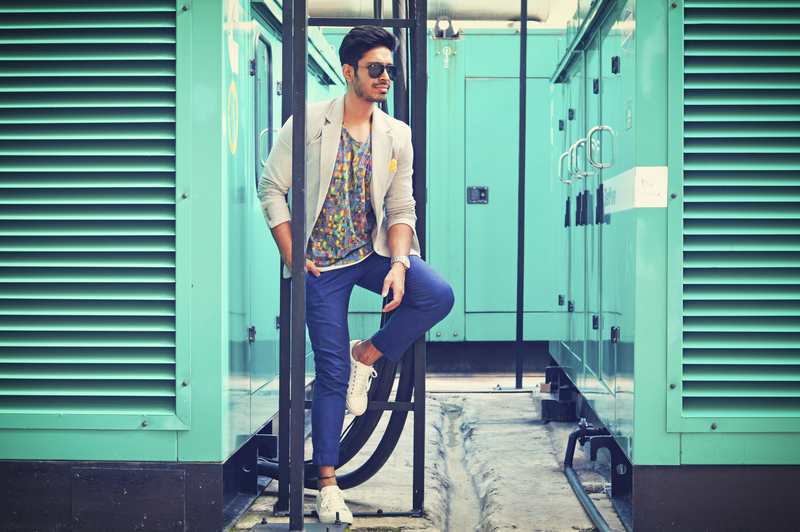 Men fashion is equally vibrant.The new age man is stylish and willing to experiment with new colours, cuts and patterns. 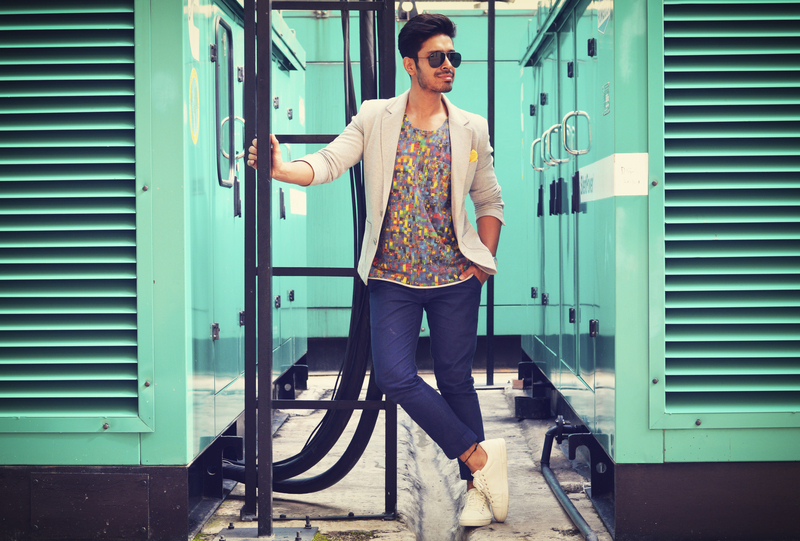 Classic, modern, and contemporary are the latest fashion fad doing the rounds for men. It is all about creating a strong statement. 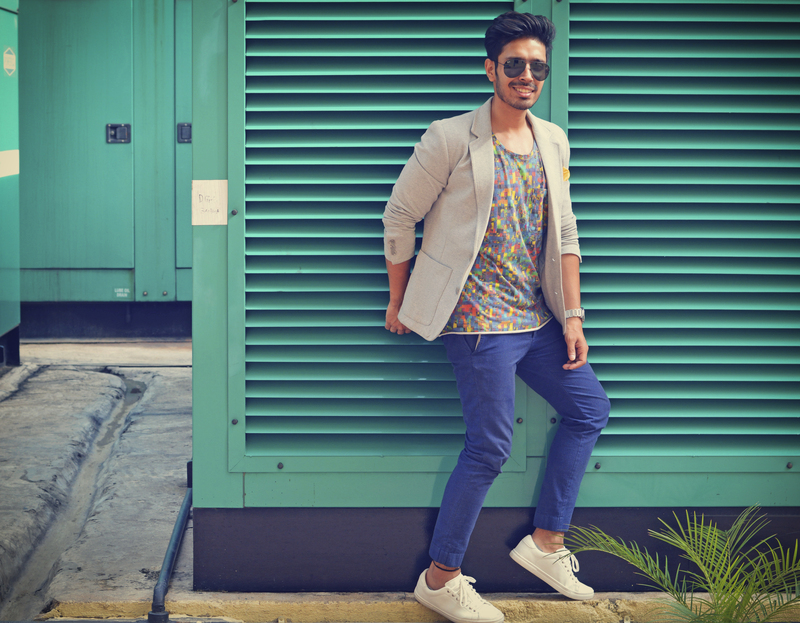 With winter months round the corner, a look at the reigning trends will prove how trendy mens fashion has become. The fashion world can’t live without prints and so do I. Print, any type of print, play an important role in my wardrobe. 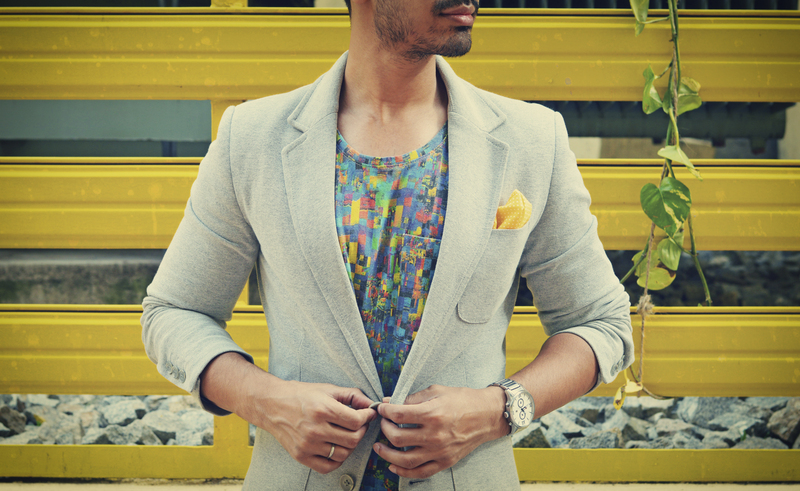 From tee shirts to shirts to the our boxers, every man owns a piece of printed piece in his wardrobe. Though we all like our printed boxers and so do our better halves, there is something else we should try this week. And that’s the digital printed tee shirt. A t-shirt is an easy, affordable and effective way of experimenting with colour. Reds, pinks, greens – if there’s a shade you’ve been lusting over, try it on a t-shirt. And it’s better if its a multicolored printed tee. 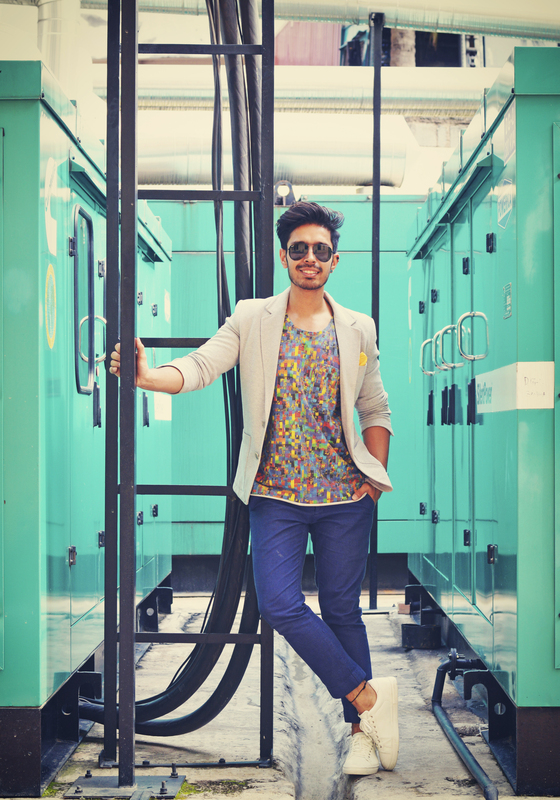 This quirky digital printed tee is quite a showstopper in its own way. I wanted to wear it with something which makes it stand out and not create a clutter for the eye. So I chose my blue Zara slim fit pants as they complements the blues in the tee and does not let the tee go overboard. As I have added another color on bottom, I neutralised the look by wearing my grey blazer. For those final touches, I chose the white sneakers which is my favorite accessory these days and a bright yellow pocket square to balance the yellow in the tee shirt. You can always try a blue or a darker color shoe and pocket square depending on the occasion where you planning to wear it. I chose brighter colors as I was wearing this to work, you can opt for darker shades if you are planning to wear this at night. A brown/blue oxford and a dark blue pocket square will look perfect for an evening look. 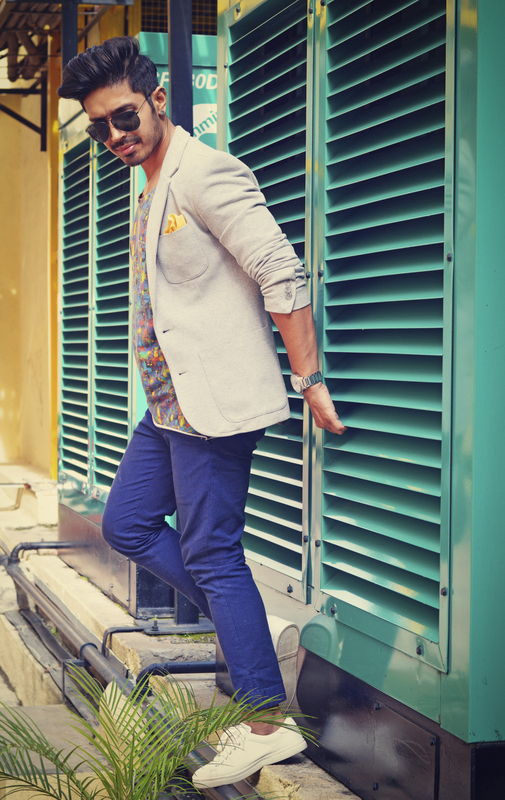 For all the guys out there, being dapper is not something only fashionable guys can do. 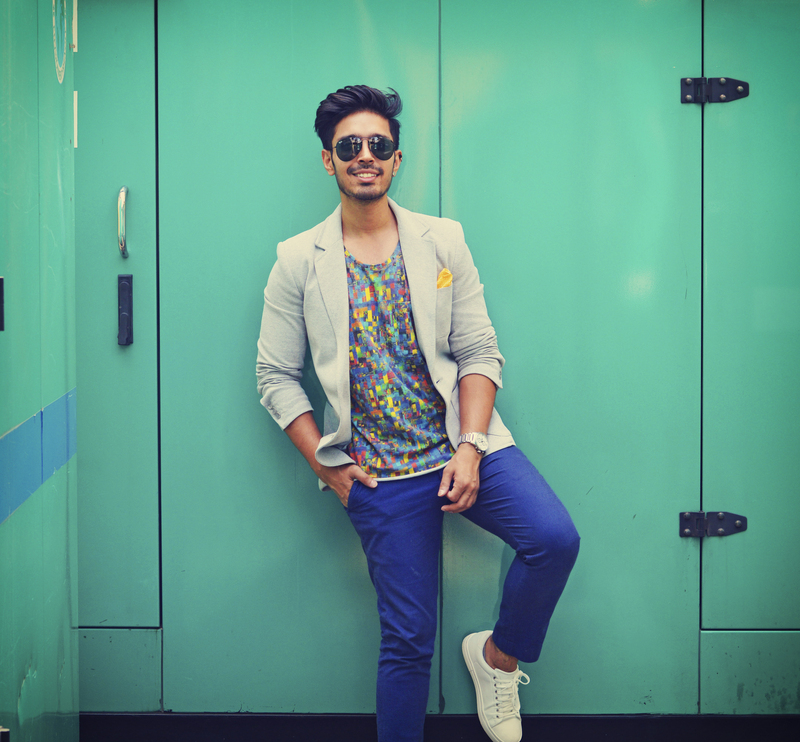 To bring this dapper look to any of your outfit is not that tough. Just follow these simple hacks and you are good to roll. Opt for a blazer which fits you well, a well fitted blazer is the key to every woman’s heart as well as to being a perfect gentleman. Know your colors. Don’t over do it. Keep it simple yet stylish. 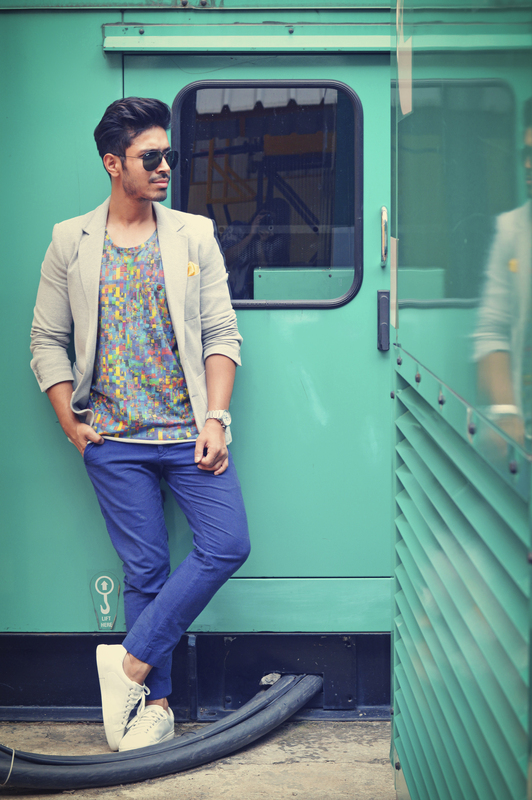 If scared of trying prints and color, go for the basic ones first. 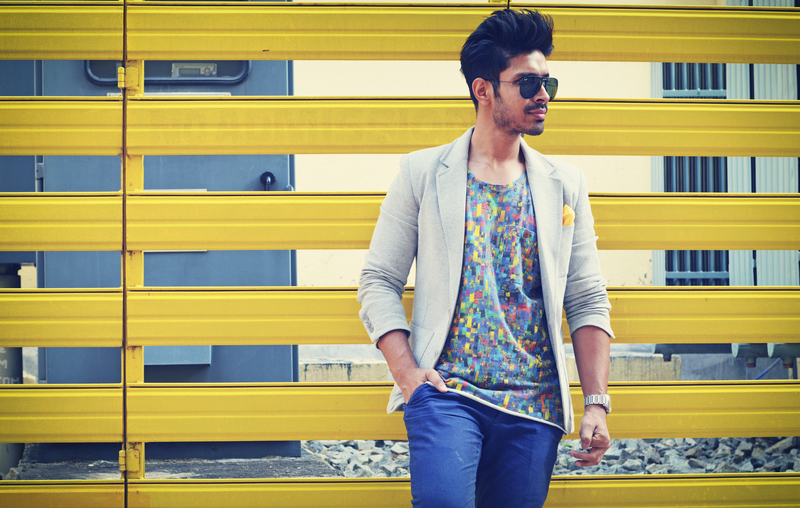 Master the blues and greys and then go for the experimental colors like red, yellow and pink. Neutralize the look if gets too colorful. Use greys and whites to balance it. So that’s it for today. Try these colorful looks before winter seeps in and we get into our boring greys and blacks. No, just kidding. We shall make the winters as colorful as we want and at the end, blacks and greys are not so boring anymore. Until next time, Stay Stylish!! 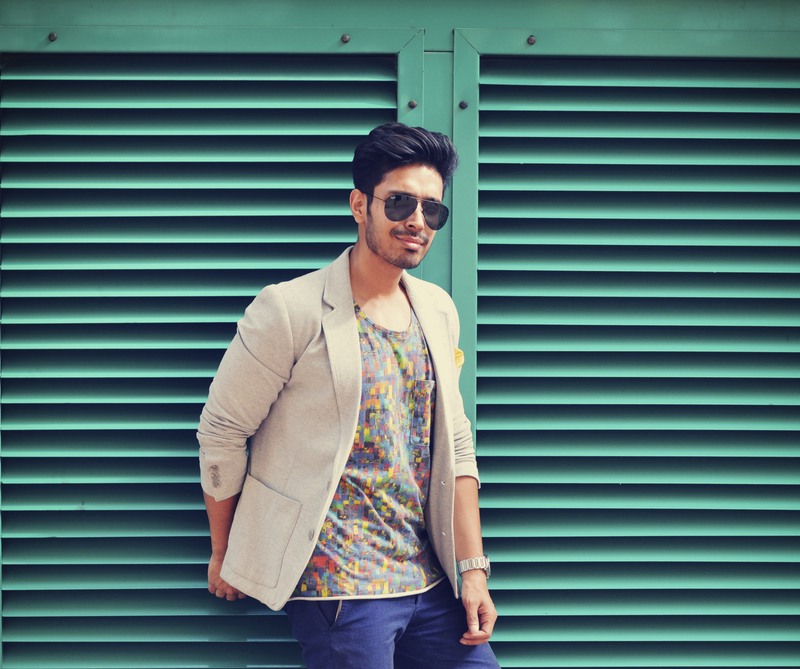 This is the first fashion blog I have ever seen….from a guy! And kudos to this fact! !